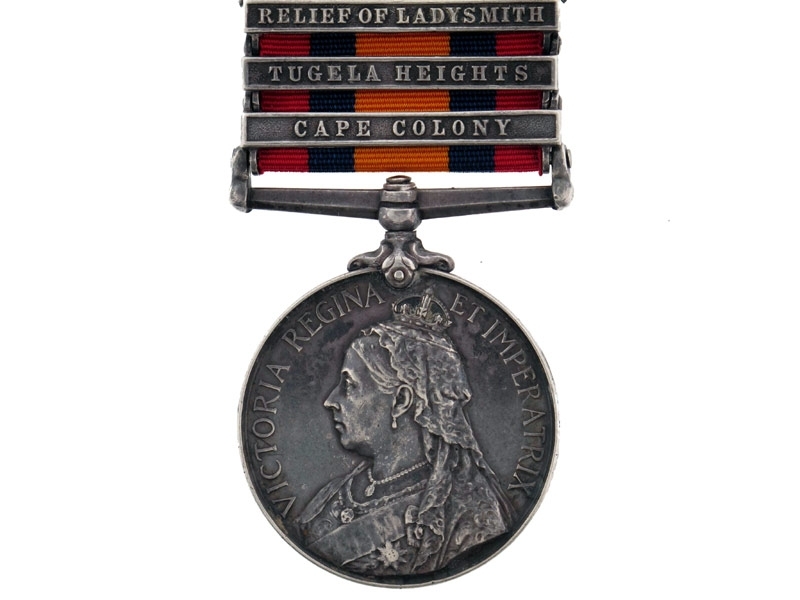 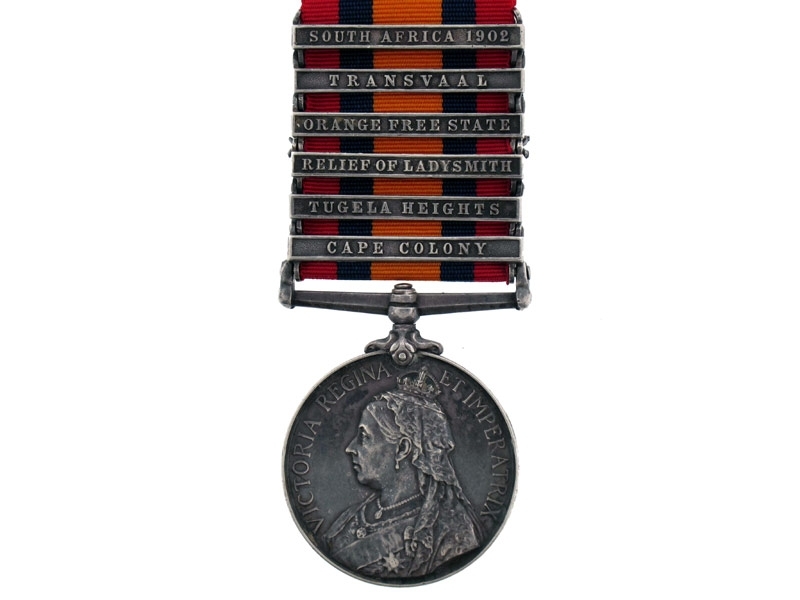 Queen?s South Africa Medal 1899-1902, with 6 clasps: Cape Colony, Tugela Heights, Relief of Ladysmith, Orange Free State, Transvaal, and South Africa 1902, officially impressed. 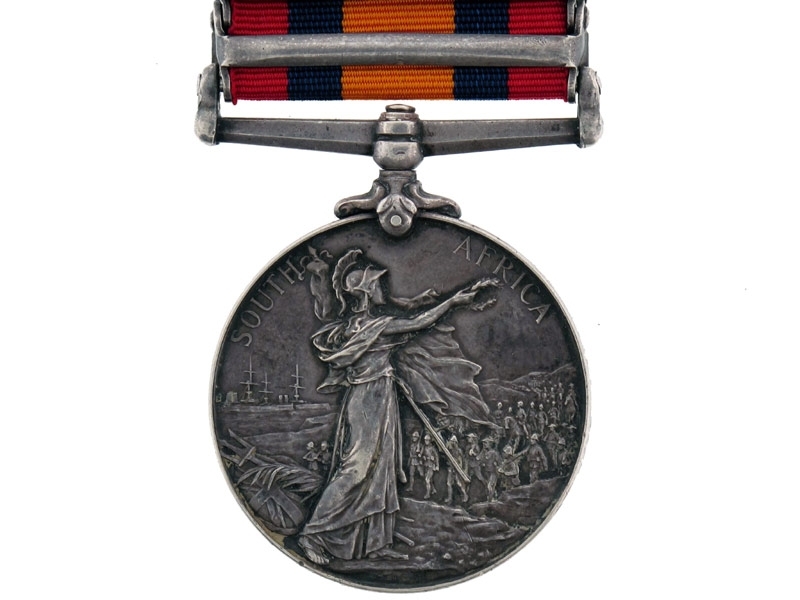 (4338 PTE W.P. 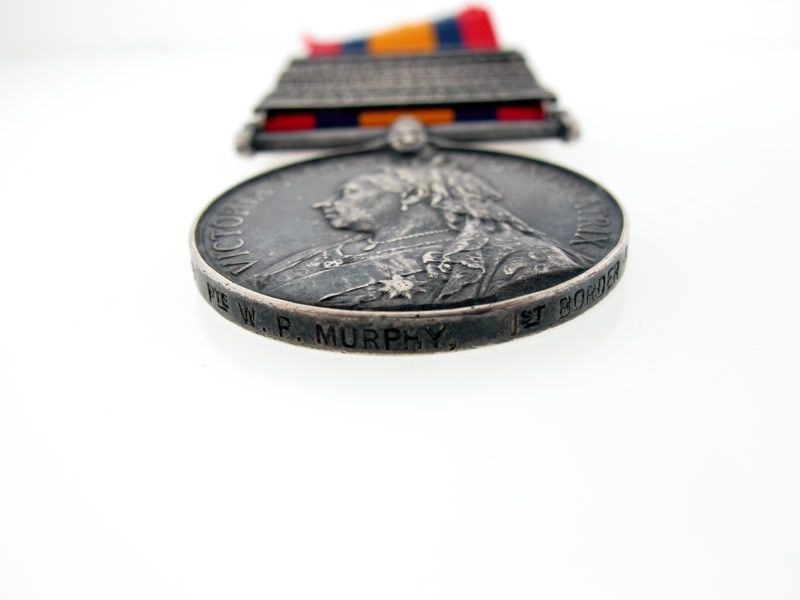 MURRY, 1ST BORDER REGT) suspension slack, dark toned, very fine.